Every once in a while I like to share a cake I’ve done in the past. I hope it motivates you and inspires you to try cakes yourself. This was a fun one I did for a friend of ours. 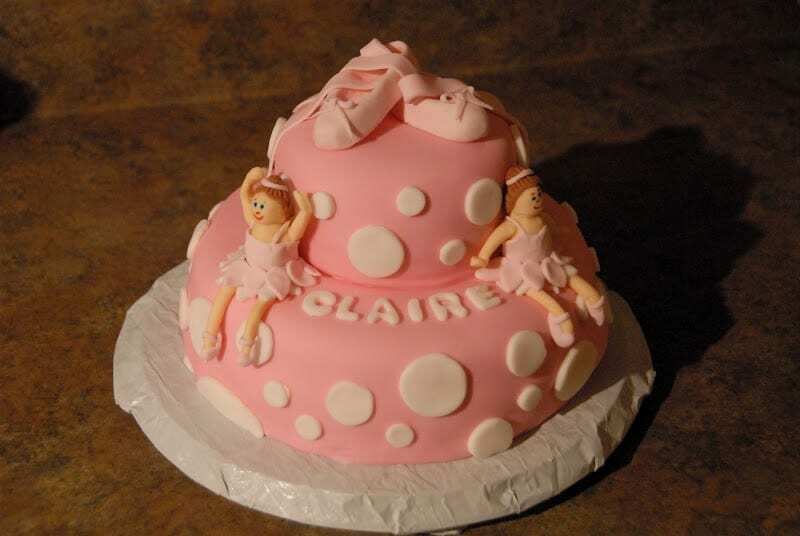 A polka dot cake is always a great starter cake for someone wanting to try fondant work for the first time. All you need is a circle cutter. That is so cute! You did a great job! I have not tried fondant yet. Scary stuff, but they look so cute. Wow! Great job – such a cute cake! 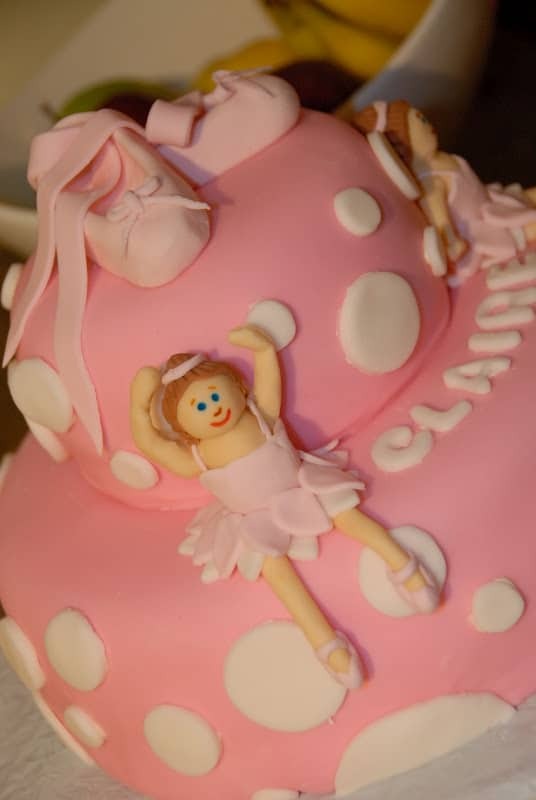 Adorable, I love the way the ballerina’s hands are above her head. Thanks for sharing at Mom’s Library!